Goldstone is a type of glittering glass made in a low-oxygen reducing atmosphere. The finished product can take a smooth polish and be carved into beads for jewellery making. The most common goldstone is a reddish-brown colour with tiny glittery bits. Frosted glass beads start out as plain glass beads and only change in appearance once the process of applying an etching solution is added to the outer surface. The surface of the glass will go from transparent to translucent to create an opaque, cloudy look. 140 x 6mm Frosted Glass Beads. 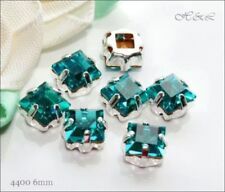 ●Size approx 6mm. ●You will receive approx 140 beads. 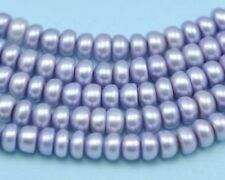 6mm Glass Pearls - Petrol. Colour : Petrol (dark blue with a slightly green/turquoise tint). 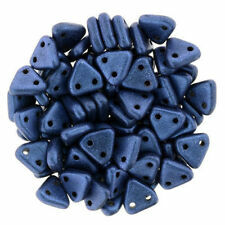 They are ideal for making jewellery and a wide variety of other craft projects. Size : approx 6mm. You will receive the beads in a grip seal bag, which can be resealed and reused. 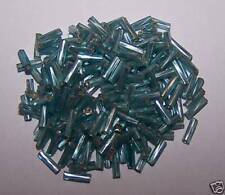 6mm Crackle Beads - Turquoise. They are ideal for making jewellery and a wide variety of other craft projects. Colour : bright turquoise blue. Size : approx 6mm. You will receive the beads in a grip seal bag, which can be resealed and reused. 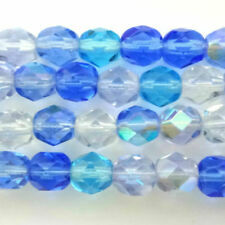 200 BEAUTIFUL BLUE ROUND FACETED ACRYLIC CRYSTAL AB BEADS. Ideal for wine glass charms, beading, jewellery making & all your crafting projects! You Will Receive.